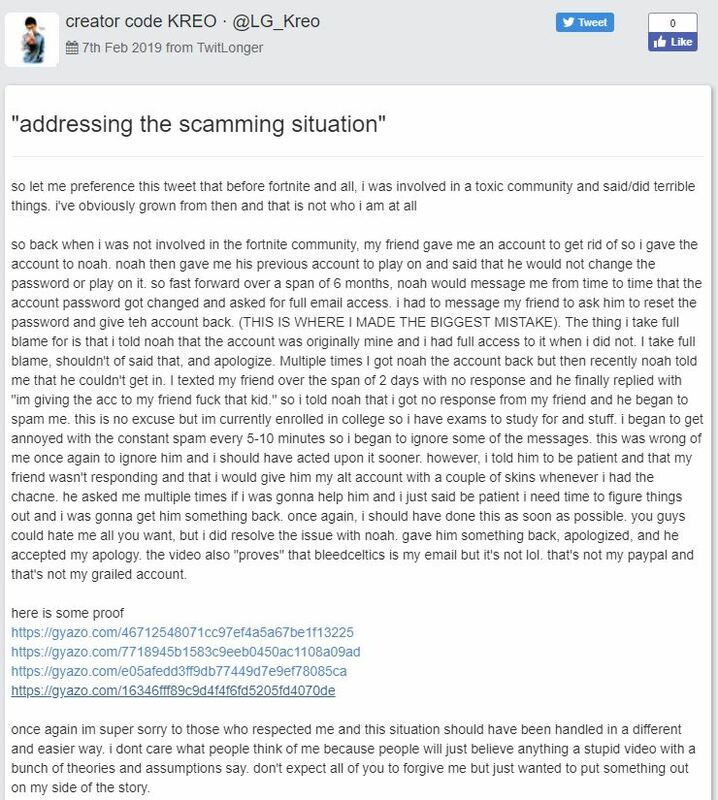 Professional Fortnite player Kreo was accused of scamming a young Fortnite player out of $100 by selling accounts and has now made a public statement on the matter. Luminosity Gaming is a huge esports organization that has major stock in the Fortnite community, mostly due to the fact that Tyler ‘Ninja’ Blevins is signed to the organization. Fortnite esports blew up in 2018 and organizations began to sign players to their rosters in hopes of finding the next ‘Tfue’ or ‘Myth’. Luminosity signed Nate ‘Kreo’ Kou in July 2018 along with crowdotwave, Aragon, and beesox and went on to place third during Week 4 of the Summer Skirmish NA series netting $45,000. On February 7, a video was posted on Youtube accusing Kreo of scamming another Fortnite player out of $100 and a Fortnite account with several popular skins. 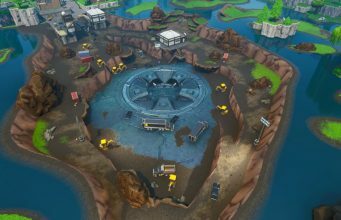 The 17-minute video by The Fortnite Guy broke down the entire situation between Kreo and a Fortnite player by the name of “Noah”. Noah and Kreo previously played together during Minecraft, but never considered each other “close” friends. Noah approached Kreo about Fortnite accounts and purchasing wins from the Fortnite pro. 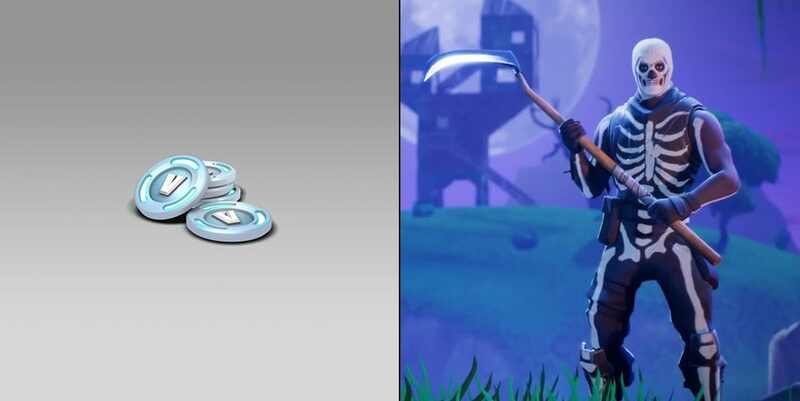 Throughout numerous Twitter DMs, Kreo offers to sell wins to Noah for $2 a piece along with offering different Fortnite accounts. One Fortnite account that Kreo offered Noah was valued at over $300. For those who don’t remember, FaZe Clan’s Tfue was banned from Fortnite for account selling and trading, which the situation between Noah and Kreo is an exact example of… except it gets worse. Noah and Kreo agreed to a purchase of an account for around $100, but Kreo repeatedly tried to change the password. Noah DMed Kreo on Twitter asking for help on the matter, but Kreo replied with a shot and simple “suRe”. The video went on to gain 6,000 views in just over an hour, and it eventually led to Kreo making a statement via Twitlonger. Kreo explained that he took full responsibility for the matter, but refused to accept that he scammed Noah. 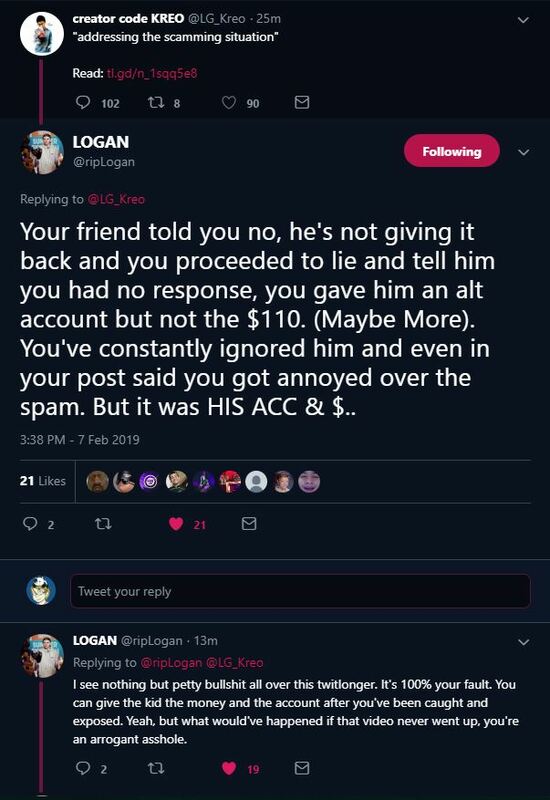 He provided four different screenshots of proof that he “refunded” the account to Noah. 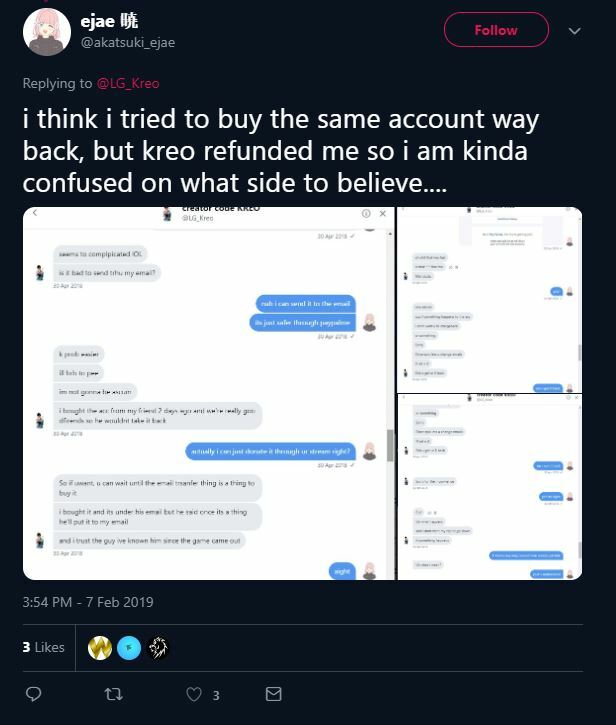 Another Twitter user confirmed that Kreo tried to sell them a Fortnite account as well, proving that Noah’s instance with Kreo was not a first-time offense. We’ve been made aware of the situation involving one of our Fortnite pros and are investigating thoroughly before making any comments or decisions. We will update the community as necessary. Thank you for your patience and understanding. We will keep you up to date with anything new on the situation! Kreo has been dropped from Luminosity Gaming effective immediately.